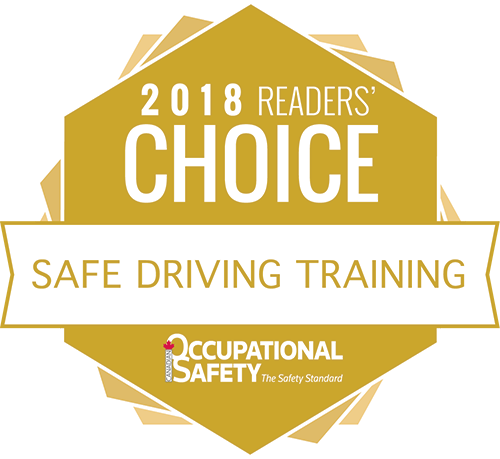 IS YOUR TEAM PRACTICING SAFE DRIVING? IF NOT, IT COULD COST YOU. VEHICLE INCIDENTS CAN COST COMPANIES THOUSANDS EVERY YEAR. 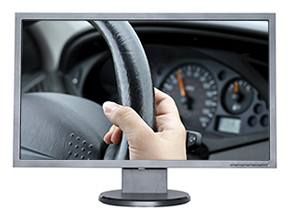 Our promise: To save your organization money on insurance and vehicle damage by reducing your vehicle incident/accident rates using our proven 3 element driver attitude improvement defensive driving system. With our driver safety training and fleet safety program, you are guaranteed to see the difference. We believe that it's possible for every worker to return home safely every single day and not be involved in even minor motor vehicle incidents. Learning driver safety not only saves you money but can also save lives. Provide Thinking Driver's premier courses to your employees on-line. Driver Safety training in person and online. Inquire today. 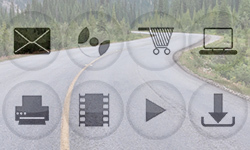 Print materials, videos and eLearning courses to assist with learning the way you prefer. For many organizations, off the shelf programs do not meet their needs. Bryan Lundale, Safety Leader at BC Safety Authority and Regional Vice-President for Canadian Society of Safety Engineering explains the 60% reduction in incident rates achieved using Thinking Driver. The savings achieved by BCSA were three times the cost of program implementation! 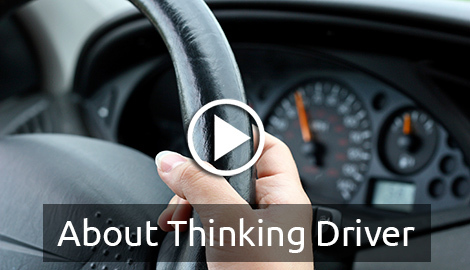 At Thinking Driver our mission is to make the world safer by eliminating work related vehicle incidents. We are dedicated to reducing vehicle accidents and incidents and the human as well as financial costs associated with them. Changing driver behavior is the secret to eliminating vehicle incidents and we do this more effectively than any other driver training provider. We are the only fleet safety provider that will GUARANTEE to reduce accident rates in fleets of vehicles from small to large using our three step process for organizations that want to save money on vehicle incident and accident costs. We do this by effectively addressing driver attitudes in a way that is certain to reduce accident rates in your fleet by reducing risk taking behavior by your employees. Thinking Driver is different from the rest. Our eLearing courses employ accelerated learning management technology that will stimulate and engage your employees and faciitate dramatic attitudinal shifts. When you choose face to face training, either in classroom or in vehicle, you know that you will be getting the very best Instructors in the world. Most Thinking Driver instructors are retired police officers with decades of on road enforcement and training experience. "The instructors' enthusiasm and passion for instructing really shows through." "Excellent course. Keep up the good work!" Basic driver training and vehicle familiarization demonstrates due diligence and your organization’s commitment to employees’ wellness. Regular refresher training, commmunication with employees and evaluation ensures ongoing competence and compliance with policy. Documented training and evaluation provides a foundation for next steps with problem drivers. Most people never attend driving school when they first learn to drive. 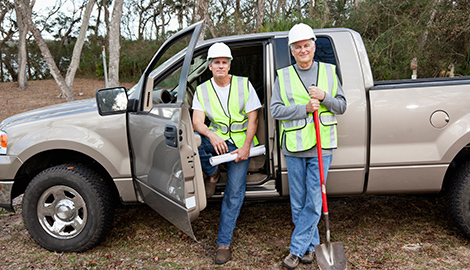 Your employees may not have experience driving in the environments in which you operate. Your employees may have no experience and be unqualified to operate vehicles of the size or type that your company uses. Due diligence demands that employees are trained, evaluated and documented as COMPETENT to operate the assigned vehicle at the outset of their employment. Over time, attitudes, knowledge and skill will erode and result in increased incident rates without advanced or refresher training. 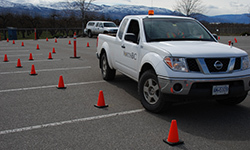 Specialty training such as Hazard Avoidance, Winter Driving and Trailer Towing fills in gaps in skills and knowledge, and ensures competence. Access to resources to help you reduce incident rates in your organization. Membership at our Thinking Driver LinkedIn page. 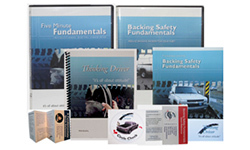 8 Critical Steps to Corporate Vehicle Safety Video Bootcamp. Free subscription to Tailgate Topics safety meeting planners. Archive of all TailGate Topics meeting planners. 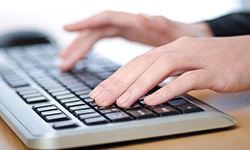 Free trial of our world class eLearning courses. DVD Preview Access - Preview any of our DVDs before you purchase. 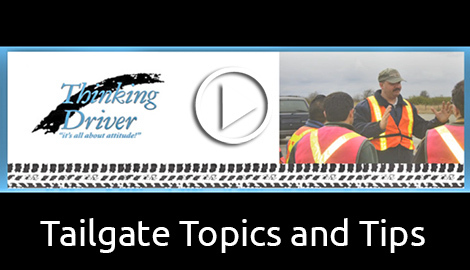 Subscribe to Tailgate Topics and Tips for your monthly safety meeting planner and agenda on vehicle safety.